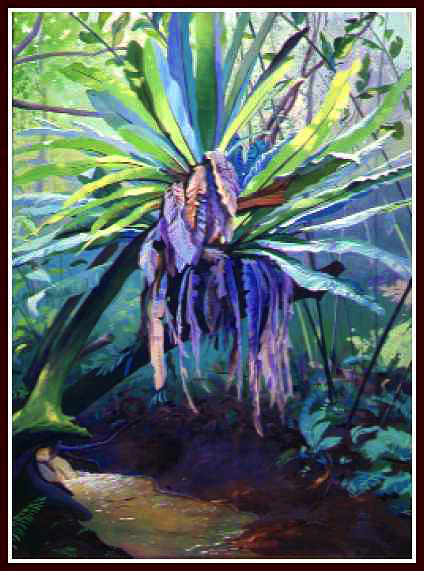 Phil Gronquest and I built a platform over the stream in the jungle to paint this beautiful fern. What an artist, this is real country, no electricity, no running water. I painted a lot of watercolors out here. We had a big umbrella over our painting area to protect us from the elements. It's important to paint either in all sun or all shade, shade is better.